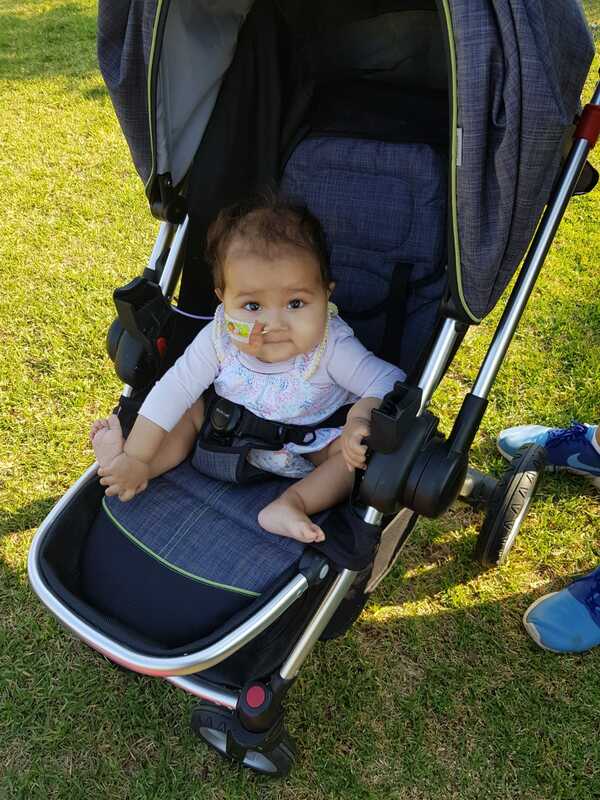 An 8 months old baby Yashika Sharma has been recently diagnosed with Acute Lymphoblastic Leukaemia. (A.L.L) is an aggressive type of cancer that affects the blood and bone marrow. ALL is characterised by an overproduction of immature white blood cells, called lymphoblasts or leukaemic blasts. Because the bone marrow is unable to make adequate numbers of red cells, normal white cells and platelets, people with ALL become more susceptible to anaemia, recurrent infections, and to bruising and bleeding easily. The blast cells can then spill out of the bone marrow into the bloodstream and accumulate in various organs including the lymph nodes (glands), spleen, liver and central nervous system (brain and spinal cord). 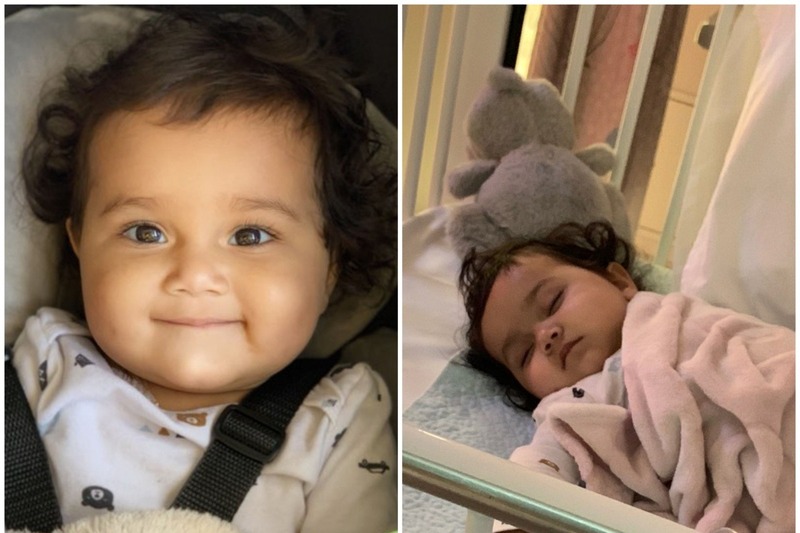 What was supposed to be a family holiday had turned tragic as baby Yashika started to get ill about at the start of the new year. It started with fevers, which was mistaken for just a common cold. She didn't want to eat or drink and being lethargic most of the time, whatever she can eat or drink... she would throw it all back out. Back and forth to the doctors didn't help, Yashika was getting worse day by day...They took her to the hospital to get blood test and it turned out her hemoglobin level was unbelievably low only 5.5g/dl. She was admitted to hospital for a blood transfusion, then more tests was carried out... shockingly Leukaemia cells was detected. Their world has been shattered!! Rekha & Manoj was so devastated!! They just lost their mum less than a year ago, fear and despair struck them again at this horrible news. Immediately they booked the very next flight back to Australia. 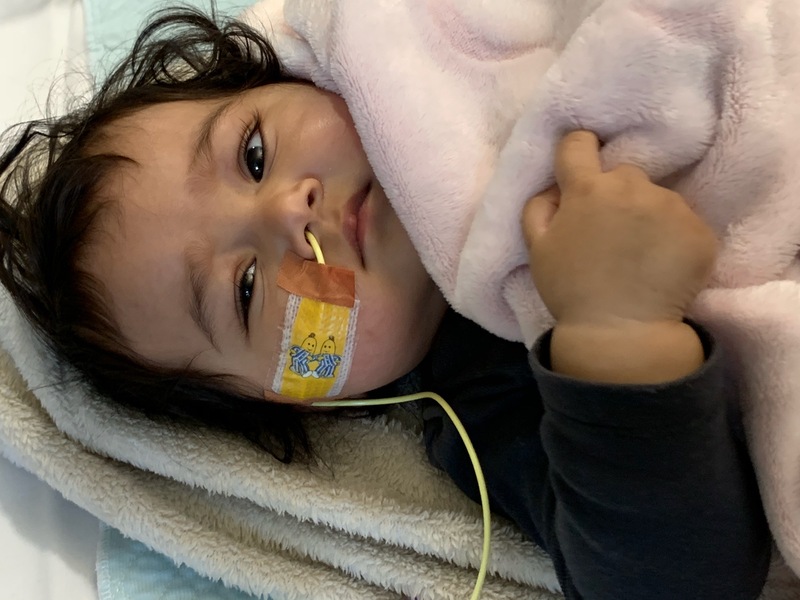 With the help from the medical team in PGI Chandigarh hospital in India Yashika was transfused enough blood, platelets and sodium drips so she would be stable enough for the flight. Yashika has been hospitalised since. Poor Yashika was so pale and fragile, all the tests still has to be done again .. blood tests, bone marrow... she was then confirmed positive with Acute Lymphoblastic Leukaemia. 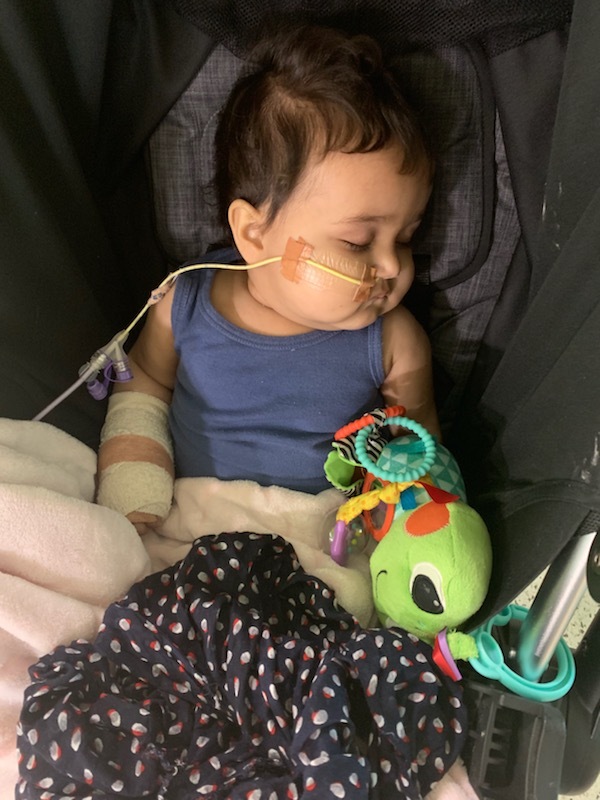 Up to date, she is undergoing chemotherapy treatment at Melbourne Royal Children’s Hospital but the medical team is unsure how long it will take for Yashika to be cured or if the treatments will be successful. Rekha & Manoj have no family or relative in Australia, they are in despair and under so much stress .. it is so heartbreaking that their first child is going through so much, they both can't sleep or eat properly since. Rekha has also been admitted to the Royal Melbourne Hospital for a few nights because of health complications as well. It's just so tragic! Rekha is on maternity leave and Manoj has to drop everything to be with them. I can see it in her eyes that she's a very special child, Yashika is such a happy baby girl..she always wake up with the most beautiful smile even with all these tubes and cords attached to her little precious body and her veins full of chemotherapy. My name is Annie... Yashika, Rekha and Manoj are very dear to me and I'm reaching out on their behalf for your kindness and generosity. 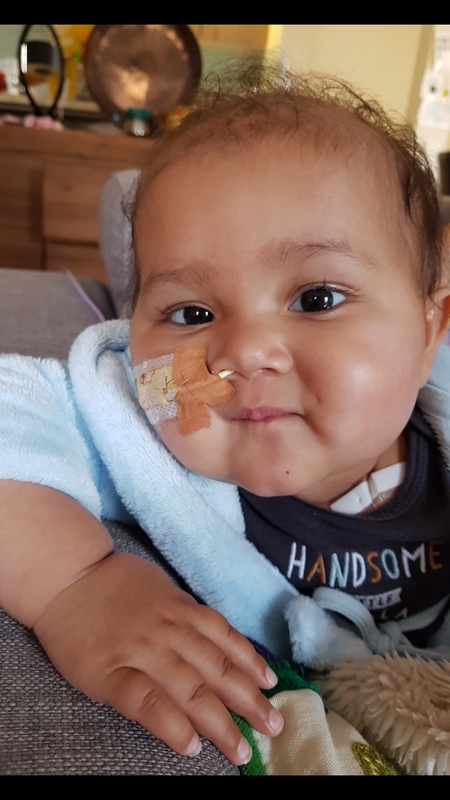 Please help to support their young family to relieve this immense pressure of daily living costs so they can be beside little Yashika while she goes through her treatments. All prayers, thoughts and donations will be greatly appreciated. From the bottom of all of our hearts, thank you so much in advance. Hi everyone.. it has been 2 months since my last post, I would like to give some updates about Yashi's situation. It has been such an unbelievable journey for the Sharma family. They had been hospital bounded for nearly 3 months now. There were days where the medicines took over her..she doesn't even want to move.. and there were days where she just giggles and play like nothing could bother her, such a fighter she is. Yashika had gone through her 2nd round of chemotherapy, things are looking more promising and she will start the 3rd round of chemo in a week's time. This journey is still full of uncertainty, but we will keep on fighting. Please, please keep them in your thoughts and prayers. Manoj and Rekha wishes to express their gratitude to all your helps and supports. Once again thank you so much for all your well wishes and generosity. Manoj, Rekha, Yashika and Annie. Hi everyone, it has been 10 days since i started the page. Time has gone so fast, I hope everyone is keeping well. Just would like to give a little update on Yashika's progress. Since admitted in hospital Yashika has been on watch constantly. A few days of steroids and 2 weeks of intensive chemotherapy treatments. 4 times a day. Her hairs has started falling off, she had a hair cut yesterday, so adorable. This week is recovery week. Analyzing how effective the treatments has been on her and if there are any improvements. Unfortunately there was a bacterial infection in the CVC line to her chest, they have to remove that and start another one in her hand. At this stage no one have an answer yet on how long everything is gonna be, still waiting for more blood and bone marrow tests to carry out next 2 weeks. Thank you everyone so much for your prayers well wishes and generosity. Please keep her in your prayers and keep on sharing the page. just woke up from sedation for bone marrow test.. AGAIN.